Home improvement projects can be daunting. 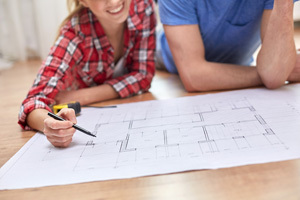 Whether it’s a major project like a home remodel or simple jobs that are long overdue around the house, one of the most important things you can do is connect with a remodeler or contractor that you can trust. May is National Home Improvement Month and if you’re ready to move on that to-do list for your home this month — or down the road, we want to help you get the job done right! Research your project. Taking time to research projects online and on the NARI Madison website will provide a good sense of what is involved such as price, scope of work, return on investment and new product/material options. Also, research property values in your neighborhood to make sure your project is in line with other homes in the area. Plan your project for the long term. How long do you plan to stay in your home? How might your family structure change over time? Life can change quickly — these questions should be answered early on to ensure your project will fit your lifestyle long after it’s complete. Set your budget. Deciding on a realistic budget and arranging finances to support your project are essential. This number needs to include everything — the project, products, contingencies, etc. Don’t be afraid to share this with your remodeler; professionals are respectful of a client’s budget and will create a plan around it, not over it. Use an advanced search for professionals. The online world makes it easy to gather information about strangers. Ask friends, family and neighbors for referrals and then spend time researching that person online. Professional remodelers take their reputation seriously and hold credentials beyond licensing, such as certifications, memberships in trade associations and additional training. Look for examples of press coverage or involvement in industry presentations or events. Check online reviews and social media to see how they interact with past clients and peers. Verify your remodeler. Don’t take their word for it. Check the information given to you such as references, license numbers, insurance information and certifications by calling providers to verify. Request a visit to an active client’s job site. Make it known that you are checking on him — a true professional considers that as a positive sign to working with a homeowner. Keep design in mind. Your design guides the entire project. Think about what you dislike about your current space and the intended use of the new space. Use Websites such as Pinterest.com and Houzz.com to gather design ideas. Make sure you can articulate specifically what you like about that design when talking to your designer. Professionals don’t recreate a photo — they incorporate accessibility, functionality, ease of modification, style and value into your design. These are great tips that help ensure you’re getting a professional that establishes themselves from the rest of the pack. NARI Madison along with our crew at Rockweiler are incredible resources, use them! And, happy remodeling!